Do you want to use the best bloodlines world wide to produce your own jumper? 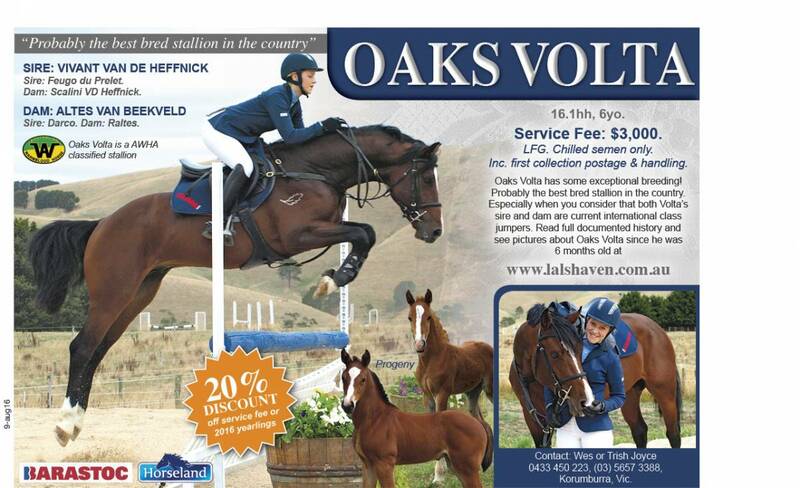 If so then Oaks Volta is for you. 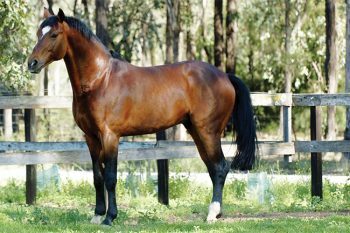 His father Vivant de Heffnick won the Australian World Cup League, in fact he even claimed two spots on the Olympic Showjumping Teams with two riders for different countries. I have included a link below if you want to read some more. In all honesty Oaks Volta oozes quality in every aspect, he has the blood, the intelligence and the beauty just look at his conformation colour and ability. The white markings definitely make one look twice, the overall shape of his head and kind eyes are perfectly set. Temperament is everything. We suggest using the best stallion to obtain a good result. 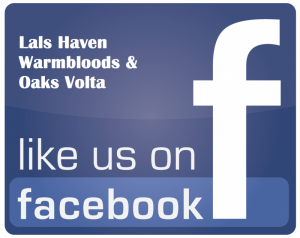 Lets talk about Volta’s dam Altes van Beekveld her sire is Darco one of the best jumping stallions in the world . Altes jumped in many World Cup classes here in Australia. Team Joyce purchased him at six months of age.He has been unplaced in all his outings. Recently Volta placed 3rd at the Australian Showjumping Championships 2016 in the Emerald Series out of 130 combinations. I recently found a tribute to Vivant de Heffnick written by Chris Chugg , it is truly worth a read. Like father like son.